I am loving that so many visitors here at my blog are leaving comments and suggestions as I explore interactive fiction. 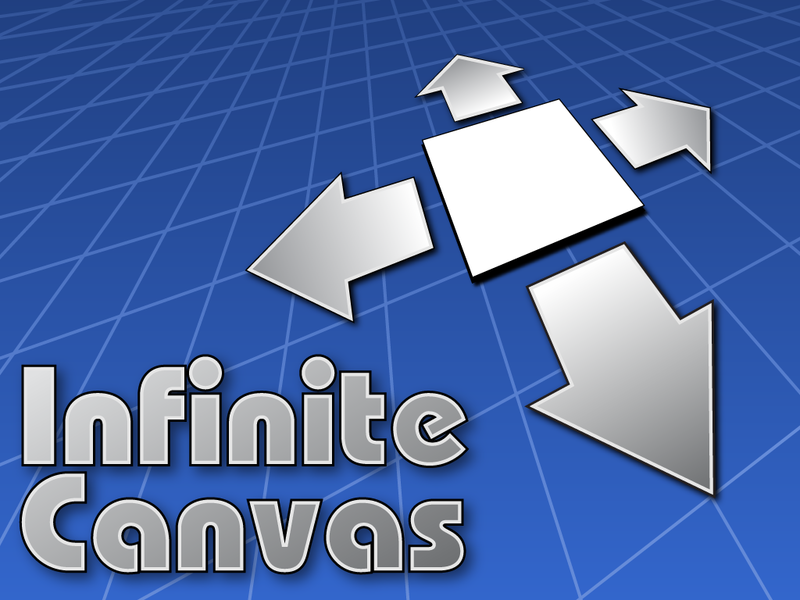 Yesterday, Sally suggested I check out Infinite Canvas, an app for the iPad that is built around the concept of an expandable story map, which Scott McCloud has touted as one of the more interesting and creative elements of comics. I did spend some time yesterday, with Infinite Canvas, and I liked it, although I think there is a bit of a steep climb for beginners. The app reminded me of something I had once thought of in relation to Prezi. I love the canvas element of Prezi, where you can see the whole presentation from above and build it out. But I always wanted to be able to vary the paths of users of a presentation. Unfortunately, there is only one path in Prezi (as far as I can tell). Infinite Canvas addresses that by allowing a creator to set up multiple paths for exploration of images, audio, video and text. Think of it like a massive blank wall, and you are putting post-its up there, and then creating opportunities for connecting those post-its together in a myriad of ways. That’s the idea here. The interactive part is that you could create a project with multiple paths, and let the viewer/reader/player make decisions that brings you along various paths of a story. You could even created “squares” in which slightly different elements of the same scene reconnect back with each other, sort of like alternative realities. Infinite Canvas allows you to import images and record audio narration right in the app, as well as text layers. Once I got the hang of the app, I was fine. But even with the tutorial (which is nicely done), it took me a while to get my head around what I was doing. There are a lot of tools built into the app, and it wasn’t always intuitive on where to go to do what I wanted to do. (Which might be an issue if you were to use this app with students. Or not. They might just dive in and figure it out easily enough). And I have not yet figured out the best way to share a story from Infinite Canvas to a general audience (such as you). The app is free and you can create basic 12-frame stories (and download stories from its library), there is an upgrade of $2.99 per story to expand the tools and how to share it (with Dropbox, it seems). With the free version, you can share it to yourself via iTunes. But I think the files are in a certain format that is not universal, so I am not sure how you share it out unless the reader has the app. I need to check this out more. Ultimately, Infinite Canvas does an interesting job of showing a different way to create a story, and it connects nicely to my inquiry around interactive fiction and technology. I appreciate that Sally suggested it. PS — here are the developers, talking about the app.